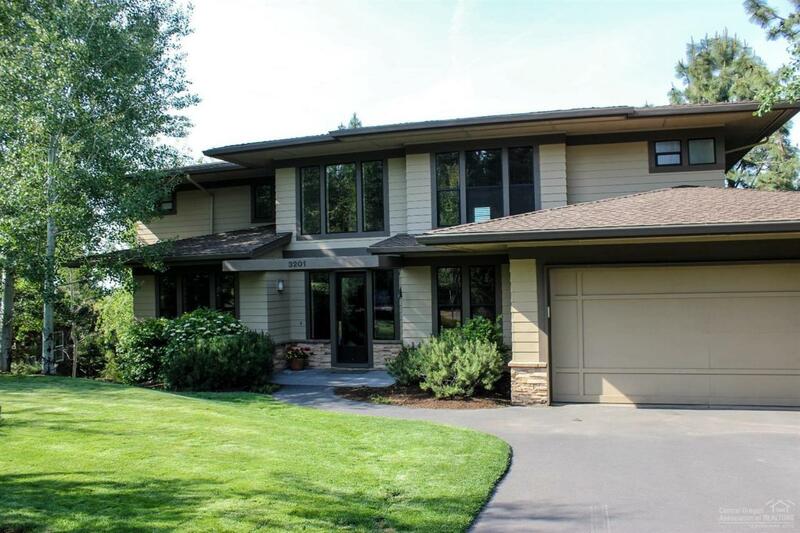 This beautiful Prairie Style NW home features over 5,000 sq. ft. of updated living space on Bend's Westside! Three levels of entertaining spaces, but all of your daily living spaces are on the main floor, including the renovated Master Suite. Each bedroom in the home features an attached bathroom. Large, recently updated Kitchen with Viking Appliances. The lower level of the home offers flexible, finished bonus spaces that could serve a variety of purposes. One of the few flat driveways in Rivers Edge.